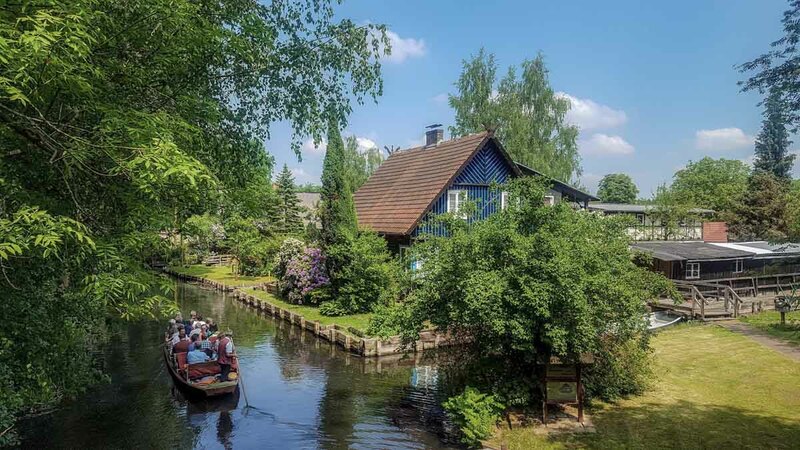 An hour away from Berlin lies a sleepy town characterised by meadows and waterways that’s a quiet escape from the city — Lübbenau in Spreewald. Comedy trio The Lonely Island made people sing about being on a boat with their song “I’m on a Boat”, but sorry, the OG people of Lübbenau in Southern Brandenburg have been doing it for centuries. 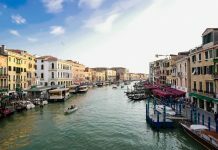 To solve agricultural challenges due to these natural wetlands, farmers since the sixth century dug these shallow canals to the Spree river, giving rise to their main mode of transportation — by punts, a flat-bottomed boat. Today, the UNESCO Spreewald Biosphere Reserve is filled with such tranquil lakes and unspoilt forests that are charismatic, quiet and calming. 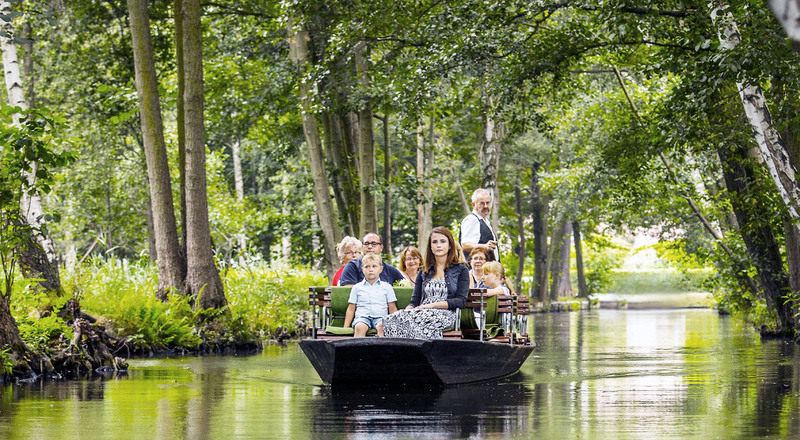 Urban dwellers seeking some respite from the city must pay a visit to Spreewald! 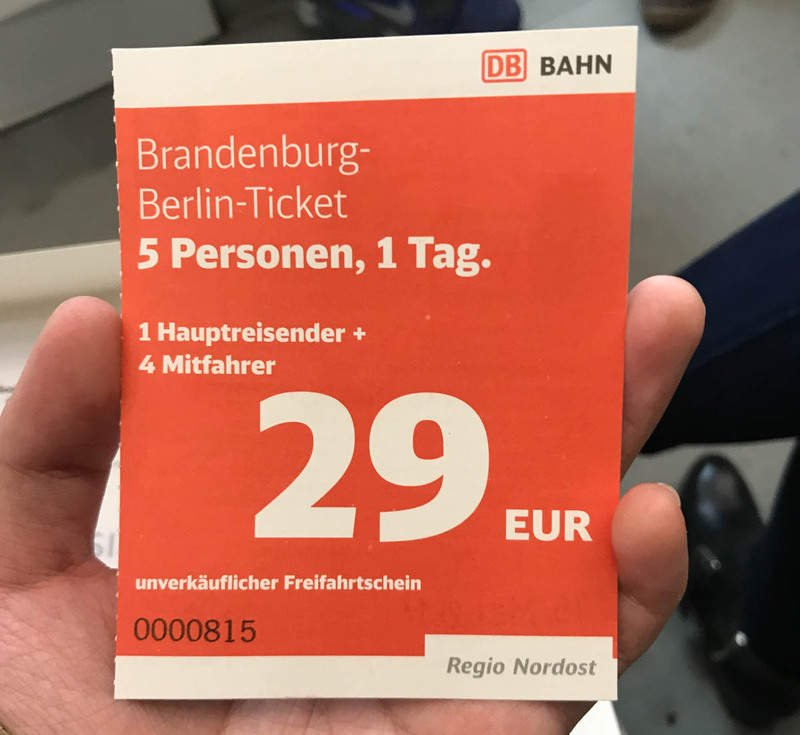 From Berlin, you have to purchase the Brandenburg-Berlin Ticket that costs €29 (~$47) for up to 5 travellers. We recommend purchasing it online, as the ticketing machines can be confusing. Note that the elderly may not be proficient in English if you need to ask for help. If you’re travelling solo, a similar day ticket costs €23.40 (~S$37.80). 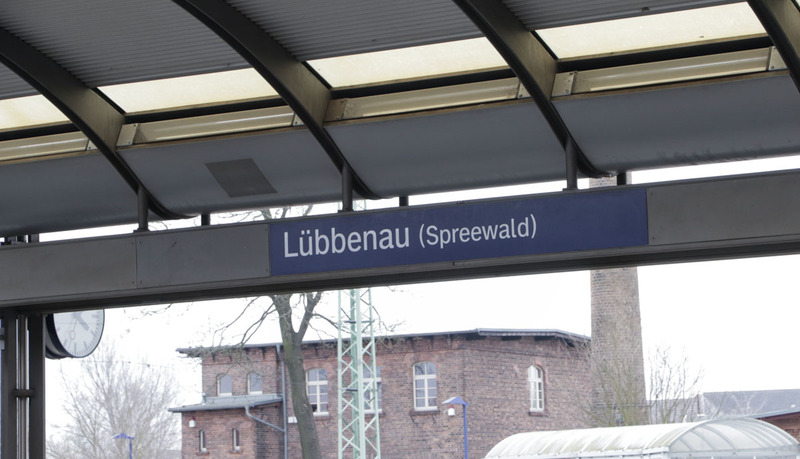 From Berlin Central Station, take the RE2 train that leaves hourly towards Cottbus and alight at Lübbenau (Spreewald) station; the ride is about an hour long. Don’t confuse the stop with Lübben, which comes before it. 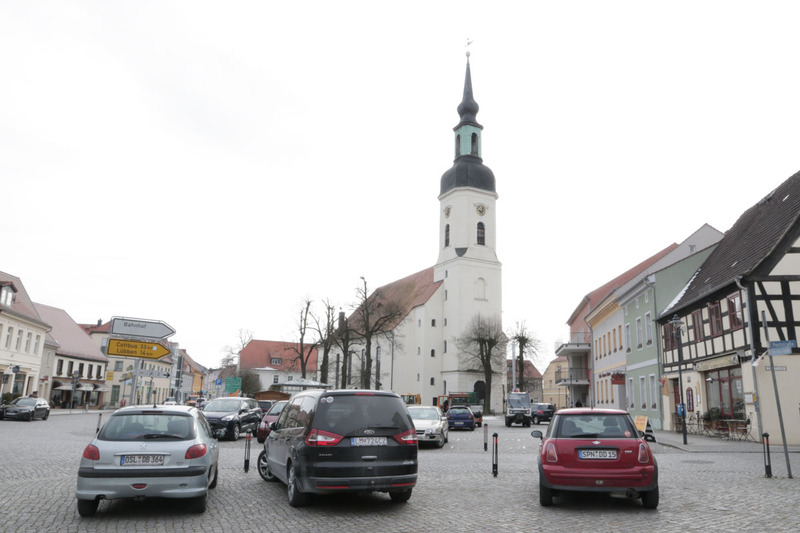 Easily identified by the St. Nicholas Church (Sankt-Nikolai-Kirche), check in at the Tourist Information Centre nearby to grab a map and some informational brochures. You can also purchase interesting souvenirs like their famous gherkins in a can, or liquor made from it. 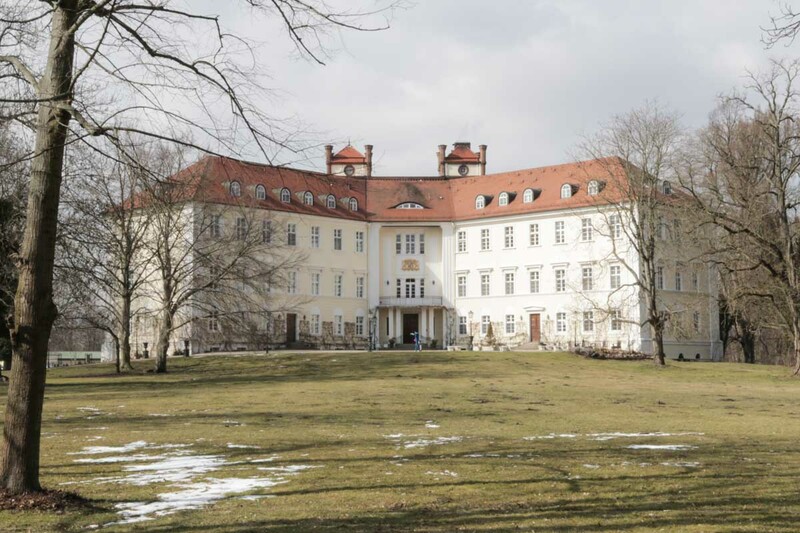 In the area, you can walk around and visit many small shops and cafes, with the famous Lübbenau Castle (now converted into a hotel) about 600m away. 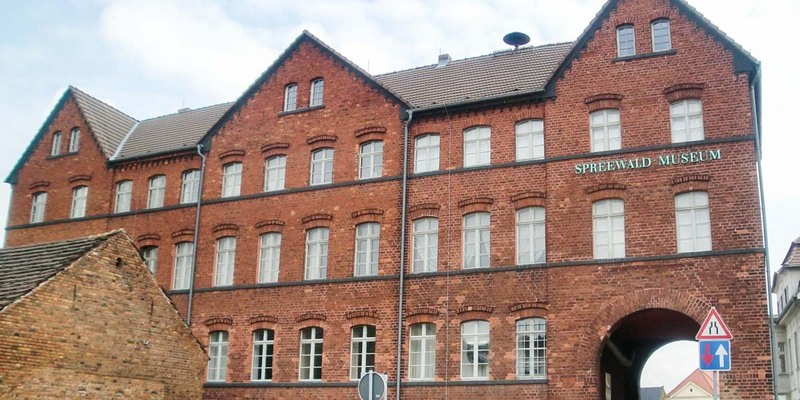 Spreewald Museum: Built like a traditional department store that houses artefacts, here’s where you can learn about the everyday lives of people in 19th century Spreewald. Explanations are only in German but still worth checking out! Opening Hours: 12PM – 4PM (10AM – 6PM from April to Oct). Closed on Mondays. 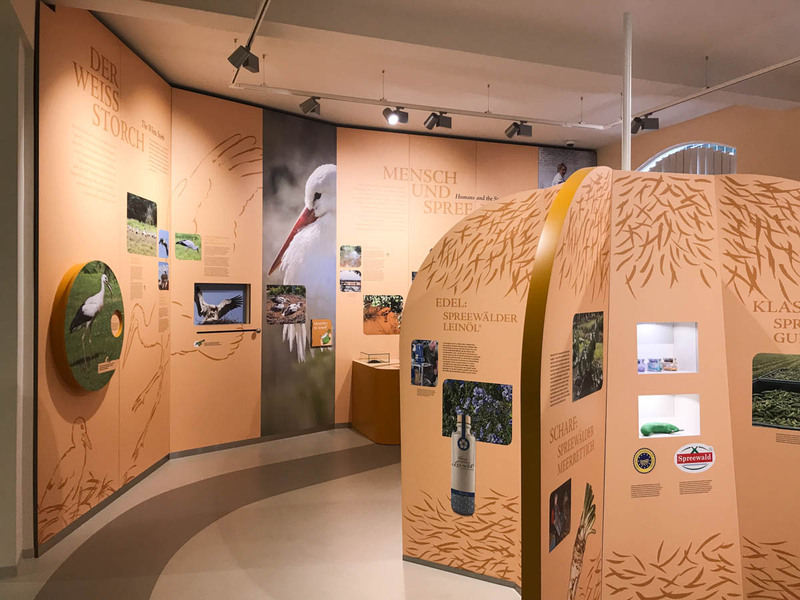 House of Man and Nature Museum: Learn how Spreewald plays its part as one of 669 biosphere reserves, protecting its forests and animals (including endangered ones) and championing sustainable development. Opening Hours: 10AM – 5PM (Closes 3PM from Nov – Mar). Closed on Mondays. 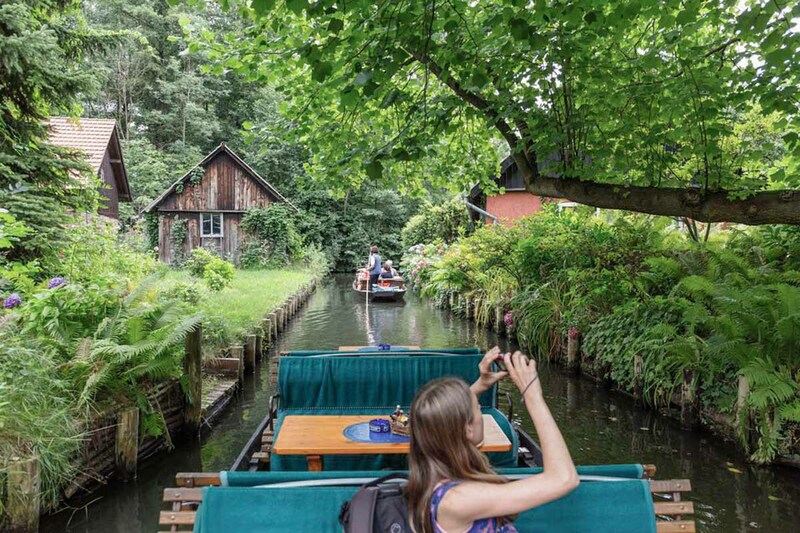 An absolute must-go for every visitor to Spreewald. 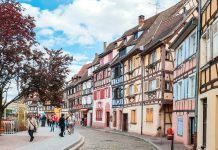 For €11 (SS$17.80) you can get on a 2-hour punt tour with an English-speaking guide, or opt for longer tours that go up to 9 hours long (with stops). 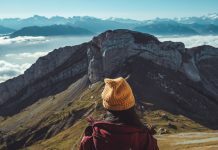 Alternatively, explore on your own by renting a kayak/canoe and exploring over 300 rivers and canals, with cafes you can stop in between for a drink or two. You won’t have to worry about getting lost, as you’ll be equipped with a laminated map. There are multiple companies you can get on boat tours from. 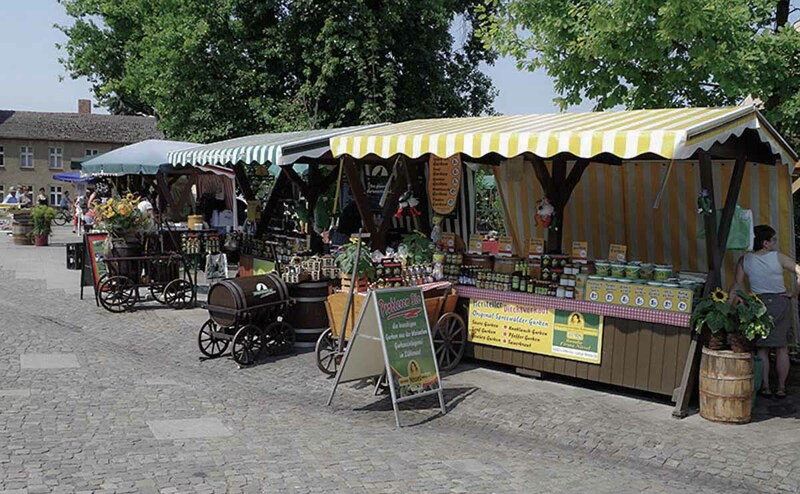 Ours by Dirk’s Guided Punt Trips was located at the Great Spreewald Port with a Gherkin market (Gerkenmeile) where you can buy and sample the Spreewald delicacy. We recommend beginning your journey from the Lübbenau Castle Hotel where you will see a distinctly marked dirt path. Mostly flat ground, you can reach the district of Lehde in 1.7km (Point 6). 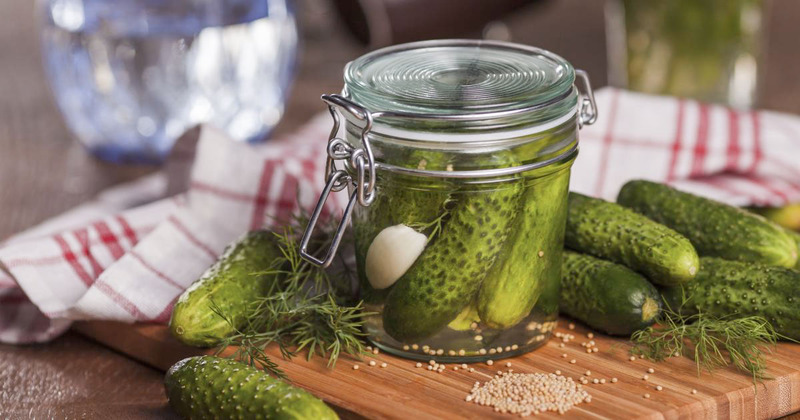 Ubiquitous in Spreewald (they account for 50% of sales across Germany), you can try all 3 variants of the pickled cucumber at the gherkin mile (Gerkenmeile), at the Great Spreewald Port. A Spreewald specialty, you can also sample these at restaurants all around town. Otherwise, just look for any jar of pickles in your German supermarkt with “Spreewälder” written on it — they are seals to verify they came from Spreewald! Opening Hours: Generally 10AM onwards, closed Sundays. One of the oldest villages housing only 130 residents, visit the open-air Freilandmuseum and be transported back to the 19th century to see how the residents of Spreewald ate, slept and played. In fact, you might even see people wearing their traditional Sorbian clothes here! In the area, there are also cafes to grab a drink and chill out at. How to get there: You may refer to this 5km walking round tour route, or choose a punt tour that takes you there. 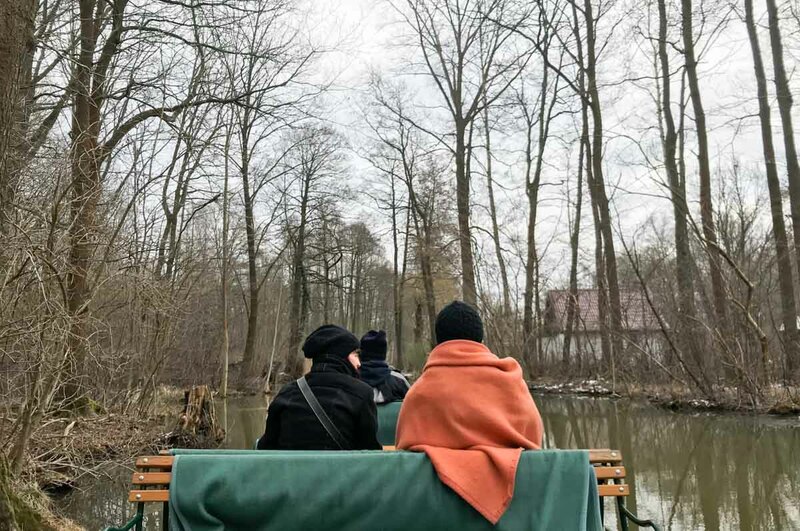 Depending on the season, there’s a side of Spreewald for everyone — in the summer, it gets busier with festivals and tourists, whereas in the winter when it’s off-peak, it’s much quieter with mistier vibes. 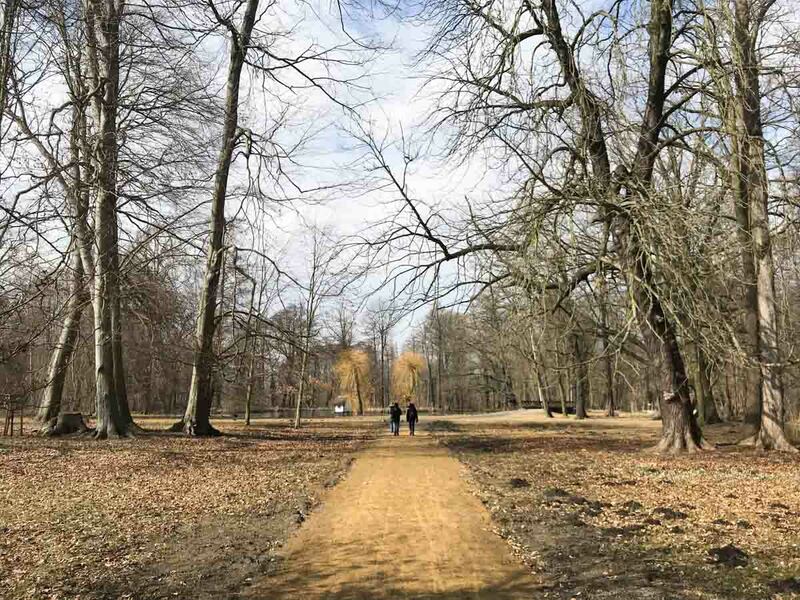 For other day trips from Berlin, you can also check out our Potsdam Day Trip Guide. For a full itinerary, check out our Berlin Budget Guide — S$1,500 including round trip flights from Singapore. 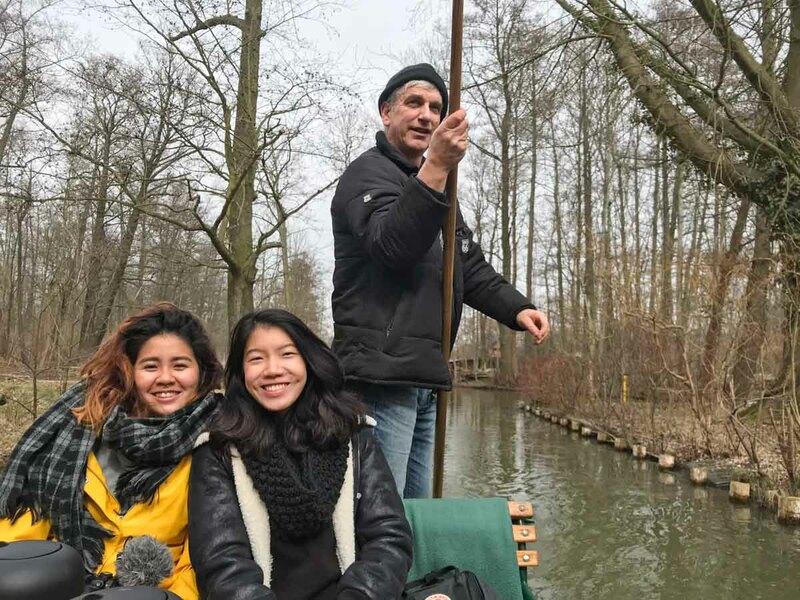 Did we miss a spot in Spreewald? Let us know in the comments! 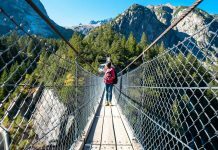 A writer at heart from an editorial and ad copywriting background, Travis now dips his toes in the travel realm to tell his stories. He is certified proficient in Japanese, one half of a musical duo and way too addicted to Mahjong.